In the Democratic Republic of Congo, supporters of former presidential candidate Jean-Pierre Bemba have accused the International Criminal Court of "politicizing Bemba's arrest. Belgian officials arrested 45-year-old Bemba late Saturday in a Brussels suburb on four charges of war crimes and two crimes against humanity. 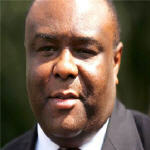 In 2002, Bemba's Movement for the Liberation of Congo (MLC) was asked by then President Ange-Felix Patasse of the Central African Republic to help put down a coup attempt. But once that was achieved, the one thousand strong MLC force was accused of installing a reign of terror. Nadia Mika is the wife of Mika Pere Perry, inspector of Kinshasa for Bemba's former MLC. Interpreting for her husband, she told VOA that Bemba supporters are planning a nation-wide protest Tuesday to show that he is not a criminal. ?The MLC, they maintain their position. They say that Mr. Bemba is still the leader for the opposition, and they are going to walk all over the country, in Kinshasa, Equator, Lumumbashi. First of all they are going to protest because the Belgium government cannot arrest a senator because Mr. Bemba is a senator, and the International Penal Court cannot arrest also a senator because Mr. Bemba does make crime. That's why they are going to protest tomorrow,? she said. But Perry said the International Criminal Court and the Belgium government were politicizing Mr. Bemba's arrest. ?All the charges are not true, and people from the MLC are going to go to England and in America, and they are going to explain that Mr. Bemba is not a criminal,? Perry said. She said then Central African Republic President Ange-Felix Patasse should have been the on arrested and not Bemba. ?First of all, they made a judgment in 2002 about all the crimes, and the report was sent to the United Nations. Twelve soldiers who made the crime were sent by the president of Central Africa to do rebellion with Mr. Bemba in 2002. And those 12 soldiers make crime, and I think today they are in jail. If somebody made any crime, it is the President of Central Africa Republic because he sent those soldiers,? she said. Perry reiterated that Mr. Bemba had nothing to do with committing crimes in the Central African Republic. ?Mr. Bemba had nothing to do with it, and the person who sent those soldiers knows why they made the crime. The person who they must arrest is the President of Central African Republic,? she said.